Your weekend plans have been decided for you thanks to Chef CJ Jacobson. 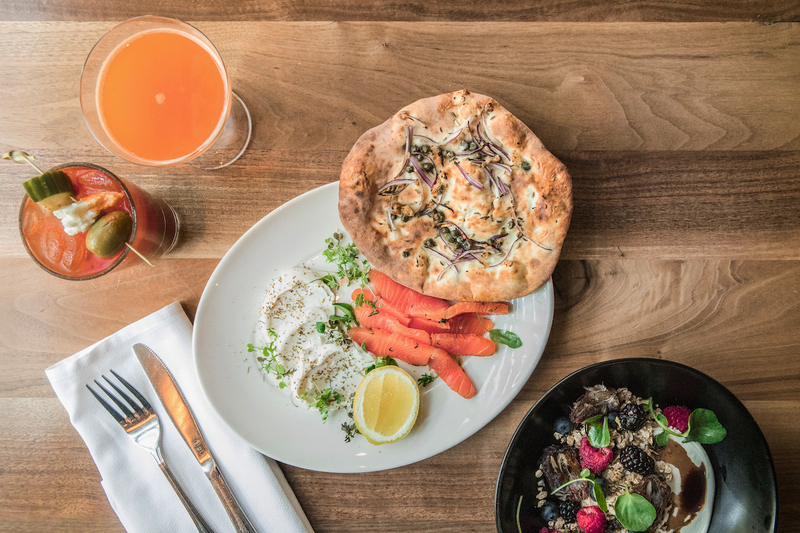 Ēma in River North is serving up Mediterranean dishes for the morning with their new weekend brunch. The menu will be available on Saturday & Sunday from 11:30am-4:00pm. 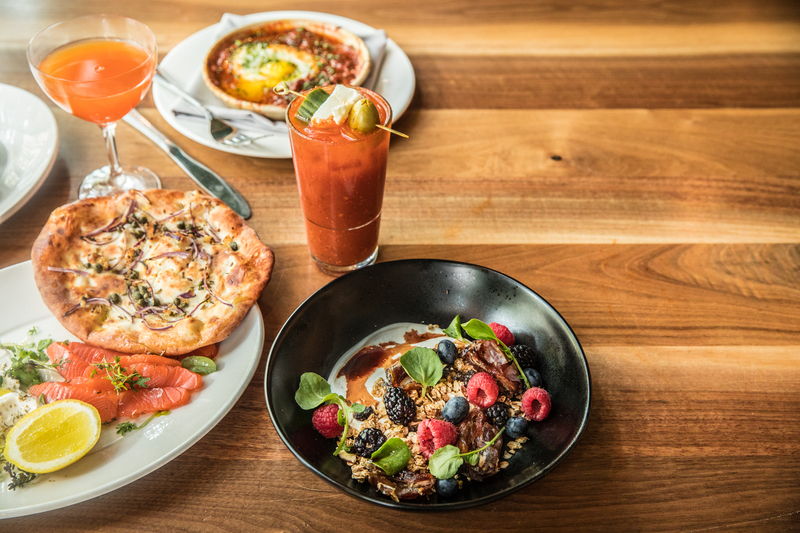 Try one of these new brunch dishes with the sun shining down on the open patio. 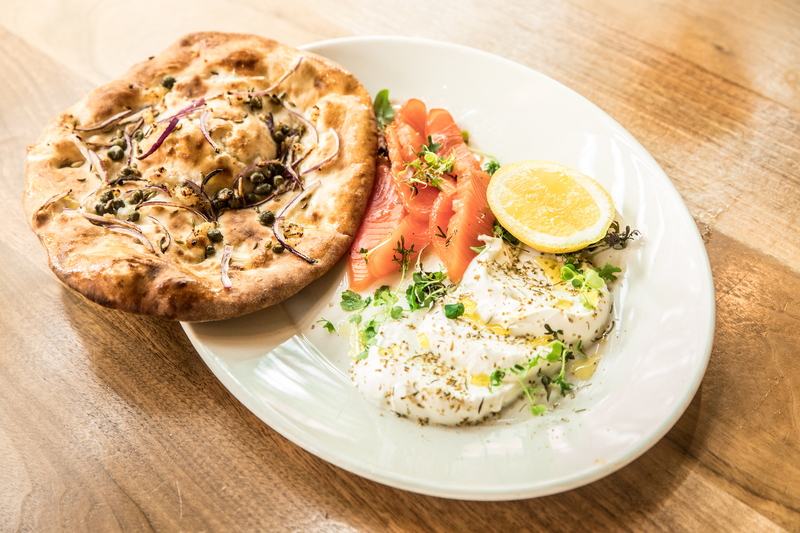 A favorite of Chef CJ’s is the House-Cured King Salmon with dill, fennel, arak, labneh, caper leaves, and house “everything” bread – a classic brunch dish with a Mediterranean twist. Shakshouka is served throughout the Mediterranean and Middle East, but at Ēma you’ll find their own rendition of the dish. 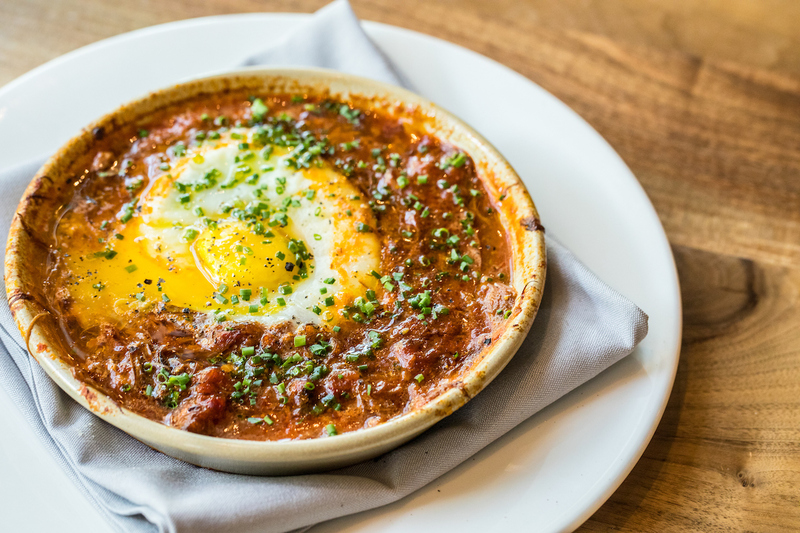 Lamb Ragu & Baked Egg with harissa and grilled bread will curb your comfort food cravings. Alike in its classic roots, the Kefta & Eggs utilizes those flavors that reflect Chef CJ’s style vividly. 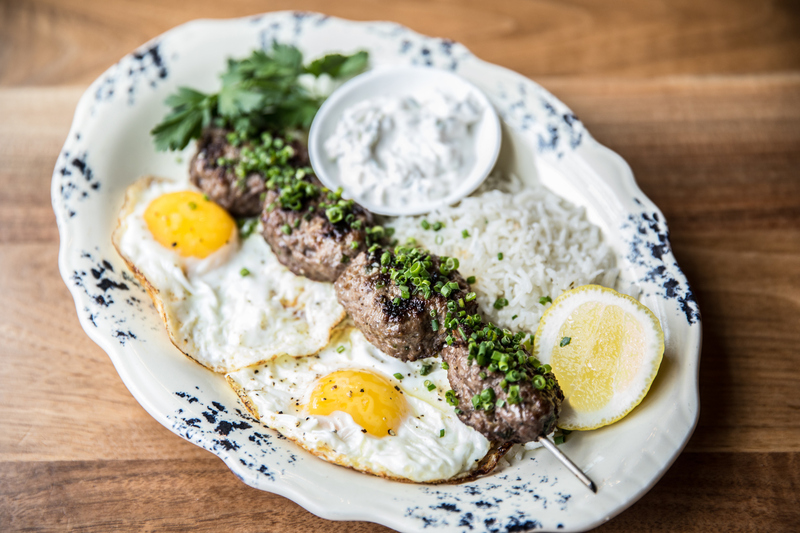 Fried eggs, tzatziki, and rice are paired with your choice of chicken or beef and lamb kefta. And when your sweet tooth strikes, the Strawberry Drop Biscuit is there to hit the spot. 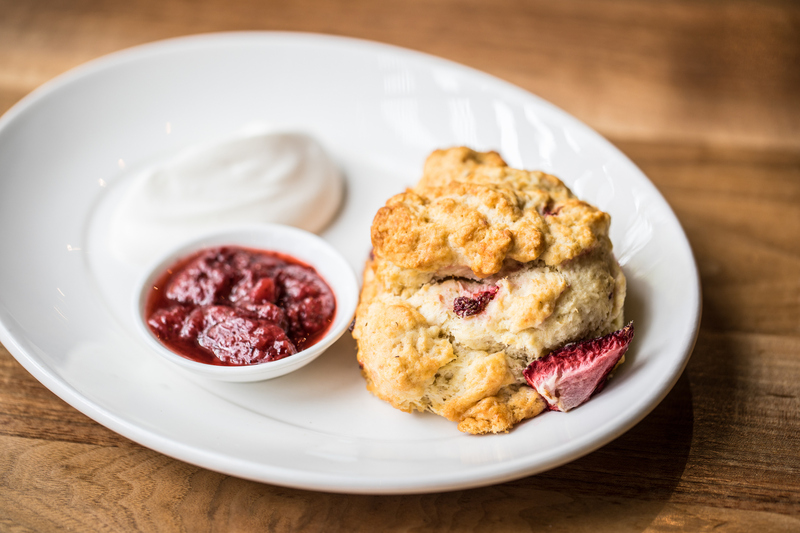 With house-made strawberry sumac jam and sweet cream, this biscuit was meant to be shared with the table. 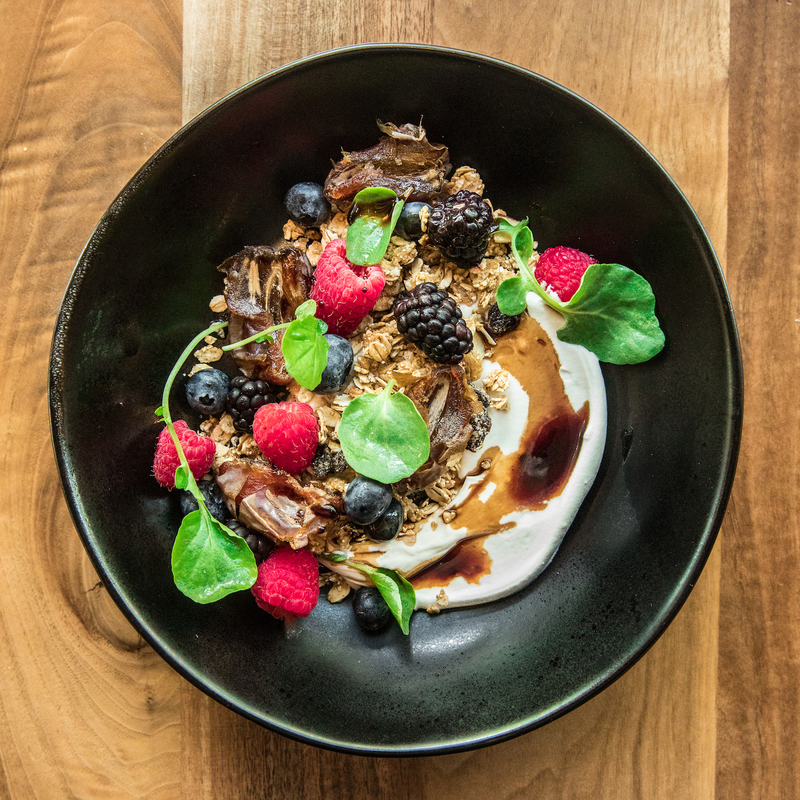 If a lighter dish is what you’re craving, look no further than the Housemade yogurt with granola, dates, berries, pomegranate molasses. Pomegranate molasses is used in many traditional Mediterranean dishes, but at Ēma you’ll find this staple used in new and inventive ways. Brunch is never complete without a well-balanced cocktail that pairs perfectly with sweet and savory dishes. 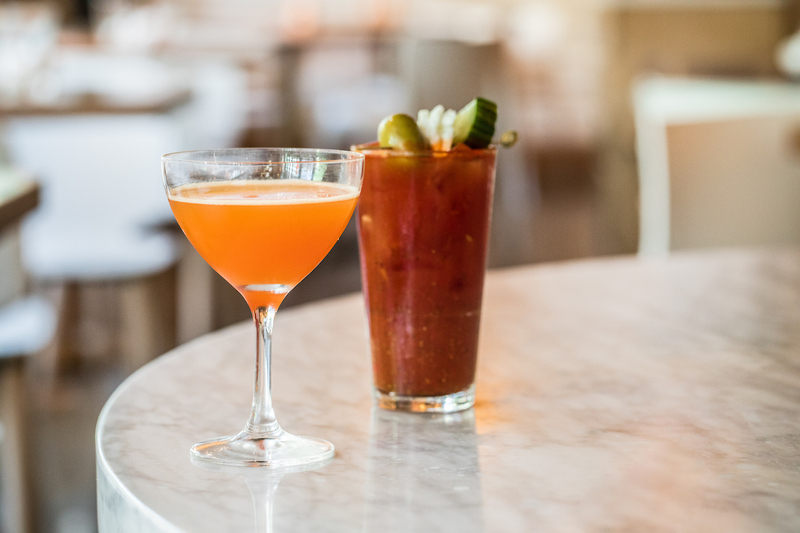 Give the Bloody Mary with Hank’s vodka, house harissa, black pepper, and halloumi a shot for your first round of drinks. The Zip Line with Aperol, sparkling wine, passionfruit, and lemon is up next. Similar to Ēma’s lunch and dinner menus, the brunch menu will continue to evolve as the seasons change. Not really a brunch person? Your favorite lunch dishes will still be available during brunch hours. Stop by Ema every Saturday and Sunday from 11:30am-4:00pm next time you’re craving brunch. For more information, call 312-527-5586 or visit emachicago.com.